We publish unedited, a major article written by the United Nationalists Australia media group on the Christchurch murders. That the blogsite upon which this article was written was taken down – suggests the State reaction to simple truths and questions. We make no other comment upon the article and leave the reader to assess. (Refer to this website’s strict Conditions of Use). PART 9: Cool Hand Luke of Video Gaming? by United Nationalists Australia, March 21 in 2019. Our final comment is the cold-bloodedness which Tarrant showed while carrying out the shootings. Killing doesn’t come easy during a war. 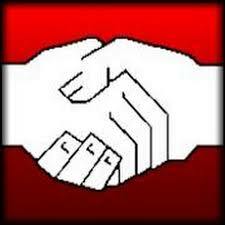 A fresh army needs blooding. But Tarrant responded with the coolness of one who’d already engaged in a gunfight. It’s true that killers like Dylan Roof and the Columbine shooters were without remorse, and behaved methodically while slaughtering innocents, but none of those had travelled to world hotspots where just maybe they had the opportunity to train for such an operation before carrying it out. If indeed it is a war that we are fighting then judging by those like Tarrant and Breivik it is being fought without chivalry. Or maybe that’s just where the world of gaming has brought a generation — completely robbed of empathy and turned by repetition into killers. 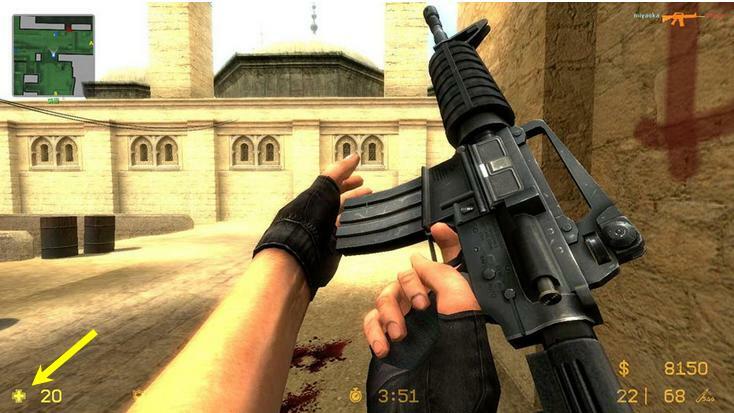 ‘Counter-Strike’ is a lifelike multiplayer first-person shooter video game – replete with subliminal iconography. It has sold over 25 million units. 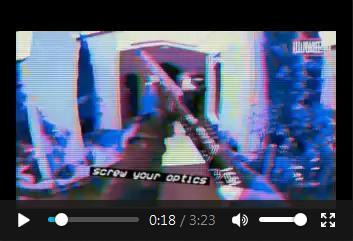 For the militaries the rise of first-person shooter videos has been a welcome development – to develop combat behaviour, prolonged concentration, to normalize and desensitize their soldiers to killing people and to blur reality. Since 9/11, using games to teach military tactics has been longstanding practice in the US, UK, Denmark, Norway, Spain, Sweden, Canadia, Australia and New Zealand. 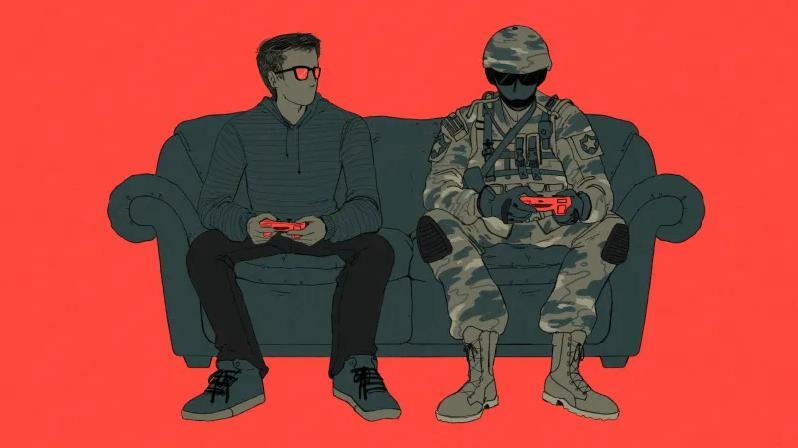 This might be a good reason why the US army bases many of its criteria for military recruits on their prowess as gamers. After all, in this hideous technical age, killing is a matter of a desk-jockey pilot holed-up in a hangar somewhere in America’s desert clicking the button of a joystick and blowing a hundred “ragheads” to pieces while reaching for their lukewarm mug of joe. Speaking of America, it was an interest in impacting America’s gun laws that motivated Tarrant the most, which wasn’t much of a nationalistic impetus. The joke is, he’s just gone and affected the right of law-abiding gun-owners in NZ to pursue their hobby with the weapon of their choice. But he’s also messed with what little freedoms nationalists in both countries have to spread our truths. Some conspiratorially-minded folk might just think that this may either be a motive for anyone ‘handling’ Tarrant; or else a politically opportune time to deprive the populace of defensive means while broadening the definition of terrorists to include domestic political dissidents whose rights might easily be purged so that all we’re left with is a raceless, genderless, unthinking nation of consumers who can be transplanted anywhere in the corporatized world without any social conflicts arising. Or else, the objective is to establish a society based upon permanent internal and external conflict, which would be right out of George Orwell.